Published: Jan. 10, 2015 at 01:13 p.m. Updated: Jan. 10, 2015 at 06:22 p.m.
One of the Seattle Seahawks' major competitive advantages is set to vanish prior to the start of next season. 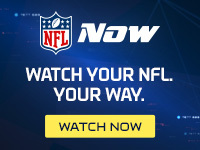 NFL Media Insider Ian Rapoport reports, via sources involved in the situation, Russell Wilson is expected to become the NFL's highest-paid quarterback when the Seahawks sign him to a long-term extension in the coming offseason. Seattle has built the NFL's deepest and most talented roster while devoting less than $1 million per year to the starting quarterback since Wilson was drafted in 2012. Aaron Rodgers is currently atop the NFL's salary structure, with a five-year, $110 million contract averaging $22 million annually. Wilson's rookie contract runs through the 2015 season, but the organization intends to take care of him this year rather than next. As a means to that end, they jettisoned Percy Harvin's inflated salary and extended the contracts of nucleus defensive starters Cliff Avril and K.J. Wright. Wilson isn't deserving of a richer contract than Rodgers, but this is how salaries escalate in professional sports. Just as Ndamukong Suh has the leverage to overtake J.J. Watt as the highest-paid defensive player, the Seahawks have no choice but to set a new contract bar for the steadily improving 26-year-old quarterback of the reigning Super Bowl champions and current Super Bowl favorites. After toiling three years as the NFL's most underpaid star, Wilson is about to be rewarded as the highest-paid.